Gambling is the most profitable genre of mobile and desktop games. This includes various types of card games, casinos, slots, etc. 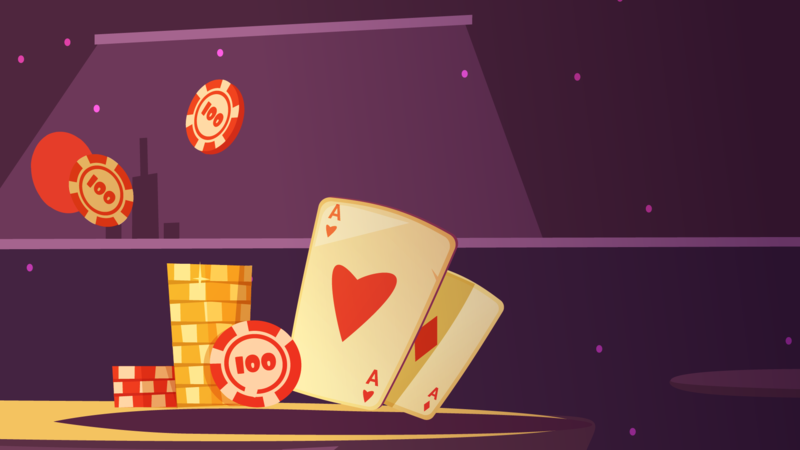 The general feature of all gambling entertainments is an unexpected outcome, connected with an initial aim to win something of value. Therefore, the process is always connected with chance, attention, and capture. However, people, who play gambling games are not always interested in winning a prize. So the popularity of gambling can be described in two words: adrenaline and fun. While the outcome of a game session cannot be predicted, players get something new and exciting every time. Add an opportunity to win real cash or symbolic value and you will get a perfect entertainment, both risky and appealing. While gambling games rarely feature storytelling and unique characters, the development process might be complicated and time-consuming. The reason is that they feature algorithms that are not so easy to build. Sometimes, development groups invite mathematicians to create a flawless gambling algorithm. What is more, games of this genre require stunning artwork to stand out of a crowd, since the competition is high. Let’s take a closer look at the main stages of the process. The first step is coming up with ideas about the main theme, style, algorithms, and goals. At this point, a game developer needs to figure out what exactly you want to get. You have to think carefully and explain your main expectations. Is this going to be a game with invented characters or is it better to follow contemporary popular trends and use well-known ones? How about the main concept and the way we can make it work properly? In a word, developers need to have a full picture of the product from the very beginning. To avoid mistakes and bugs in the final version of the game, developers create a prototype first. They check technical elements like mechanics and playability to know if their decisions work in action. Developers create a primary version putting their focus on the structure and software efficiency. This version will serve as a basis for the future game. Later, they will add some details to this so-called “skeleton”. At this point, the entire team joins the process: artists create game design, programmers write code, etc. They check how the elements function together and polish the product. Polishing doesn’t stop on the previous stage, because some errors and bugs might have sneaked into the game. At this point, developers check playability and fix remaining mistakes. Finally, a complete game is delivered to the audience. Marketers have to take care of a strong campaign to make gamblers notice the product. If they did a good job, the game will surely become popular and profitable. How to choose a poker game development company? There are so many companies that offer gambling games development services, that it might be a real challenge to choose a suitable one. What factors should you consider, when making a choice? While poker is an extremely popular gambling game, let’s take it as an example and talk about the crucial moments you have to keep in mind. Make sure that a chosen company provides advanced multiplayer gambling technology and a full package of necessary software. Also, they have to deliver backend management and customer support. When you buy a software package from a development company, make sure that it is fully-certified. We bet that you don’t want future players to get interrupted by errors and bugs. In fact, getting a legal license for a poker game is almost impossible (and costly), so it is easier and better to purchase one. Search for the company that provides customized poker game development services. Even if you decide to buy a software package, make sure that it is customizable as well. As a rule, such packages include various editable templates that let you adjust the poker room perfectly and match the expectations of your target audience. Company’s experience is everything because only skilled developers will understand what exactly you want and deliver great results. Take a look at their portfolios, previous projects, and customers’ reviews. Future players should have a number of payment options. Therefore, make sure that an offered software includes them before purchasing. Also, to let your players feel safe and comfortable, check if integrated payment options are secure. It is hard to promote a product that doesn’t feature social media benefits. Poker software should allow users an opportunity to interact through social media, including messaging, sharing, profile viewing, etc. Make sure that you choose a software pack that supports the most popular networks. The best developing companies provide 24/7 technical support. It is crucial to be sure that professionals will check all technical aspects and fix mistakes if they occur. Gambling is a tight niche, so you have to choose a development company carefully. Only a group of experienced professionals will help you deliver the game that will bring income and please your audience. Consider the points described above to choose the best option basing on them. This will surely increase your chances to own an enjoyable game that will attract a lot of active users. Hopefully, your future product will become no less popular than WSOP poker game! Good luck!